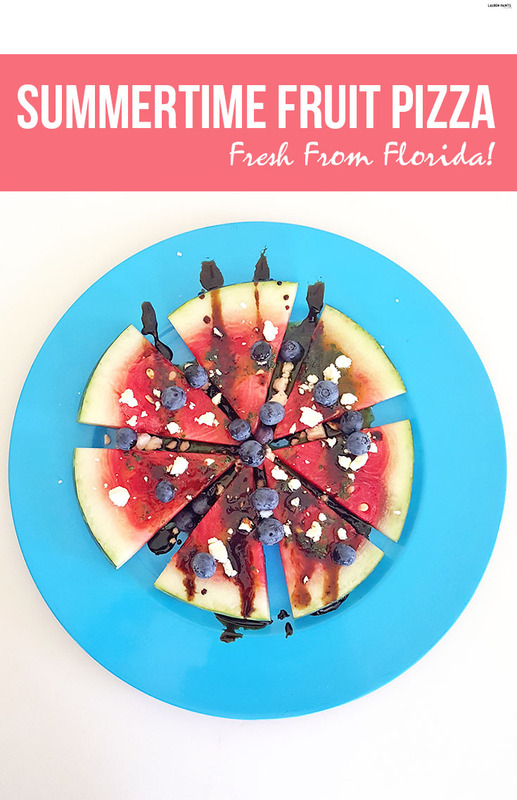 Treat Yourself to a Summertime Fruit Pizza Fresh From Florida! 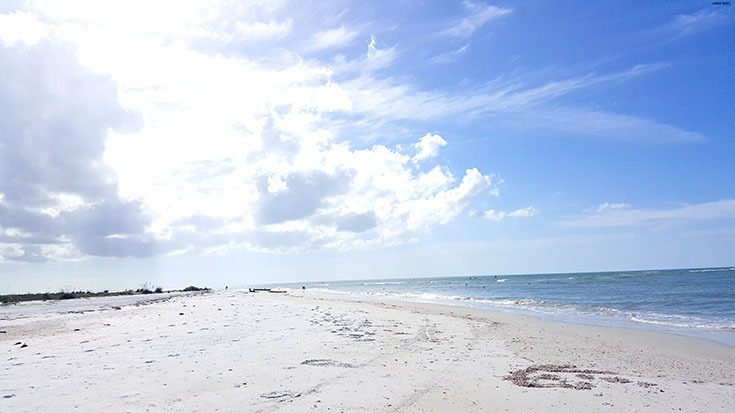 I talk about this often, but living in Florida certainly has its benefits and as I recently discussed, the fresh produce is one of many reasons I love where I live. We always have the best farmers markets and the produce from the store tastes like it was brought straight to my home by the farmer. I'll be honest and share, this summer I've been indulging a bit in some delicious pregnancy cravings! I still hate pickles so I won't be sharing any funky pickles and ice cream recipe... and I guess you could say I'm kind of lucky because my cravings mainly involve fresh fruit. It's nice to be able to indulge myself without having to worry about calories or sugar content and because it tastes so refreshing with each and every bite! 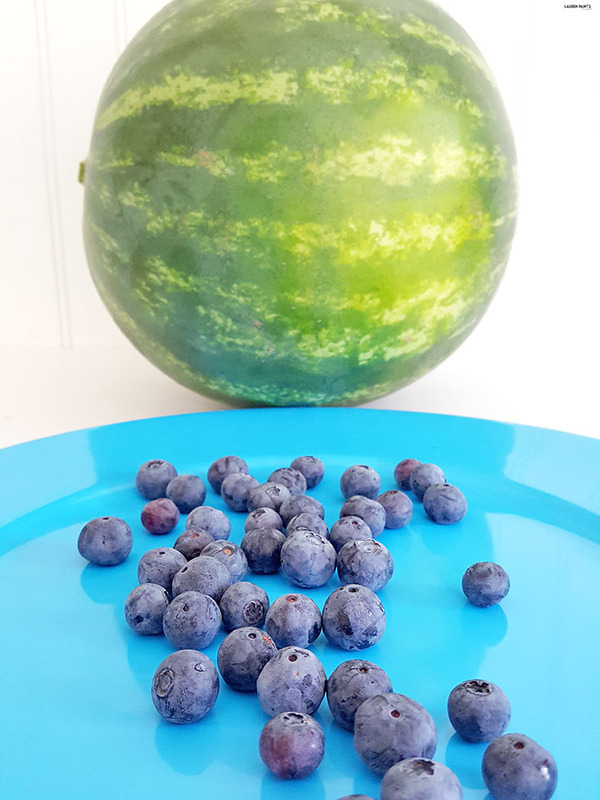 The best part is it's all grown locally... From watermelon to blueberries, I love that I'm able to snack on some of my favorite fruits while also giving back to this gorgeous state I live in. 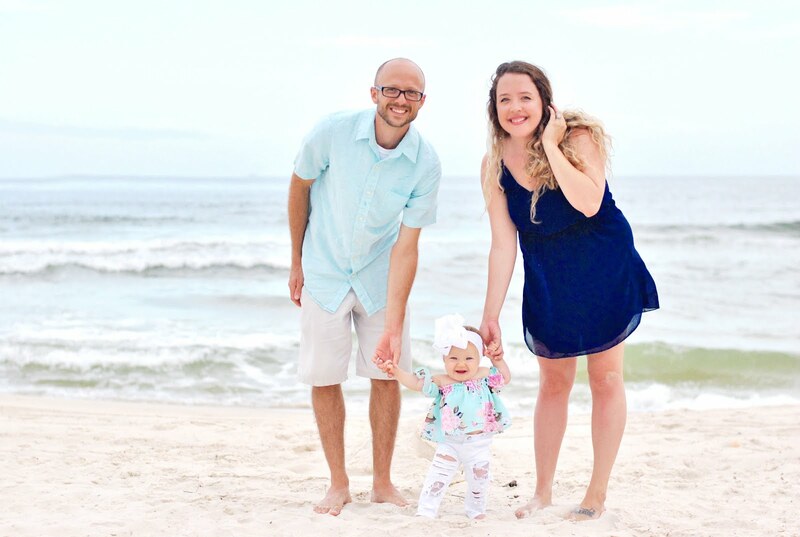 If you love Florida and fruit as much as I do, I think you'll be pleasantly surprised to try out the recipe I'm sharing today! 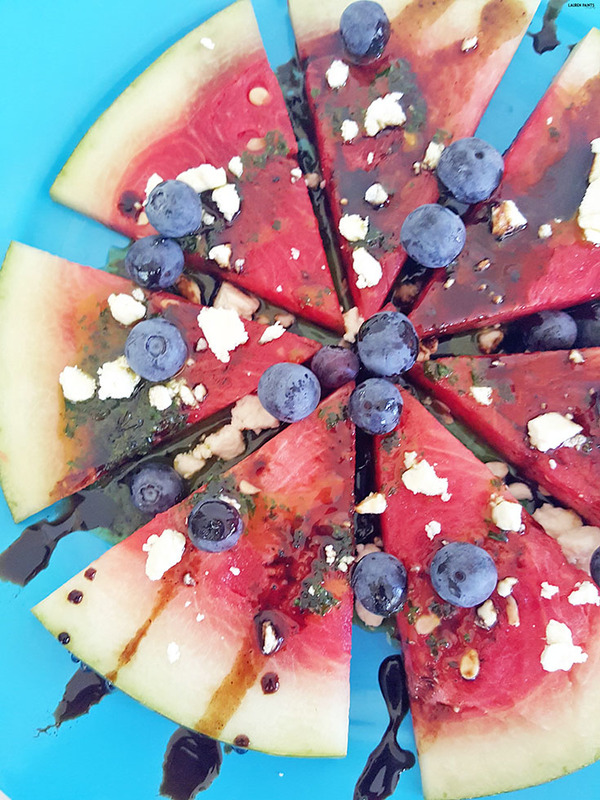 With just the right amount of sweetness topped with a surprising twist of mint oil and a balsamic vinaigrette reduction, this fruit inspired "pizza" is the most refreshing treat ever! The best part about this super delicious treat... it's actually pretty easy to whip together! 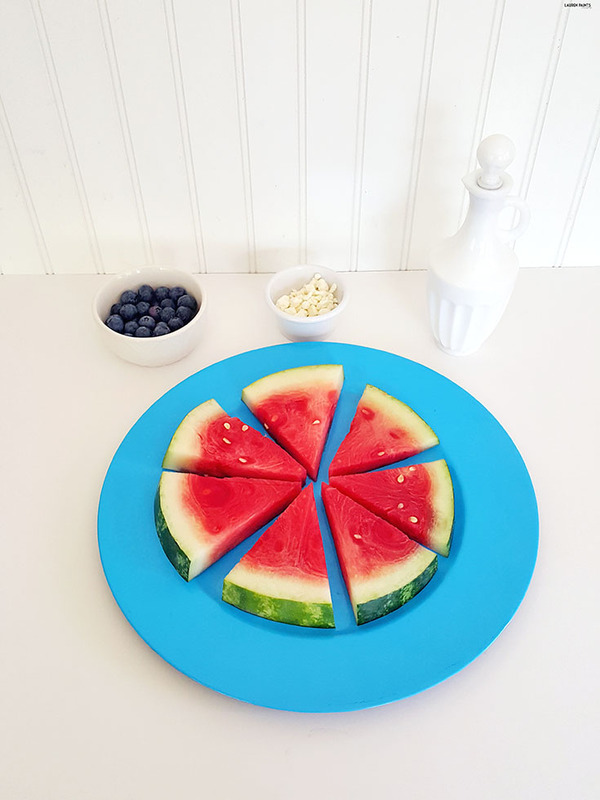 What do you need to make this simple fruit pizza? 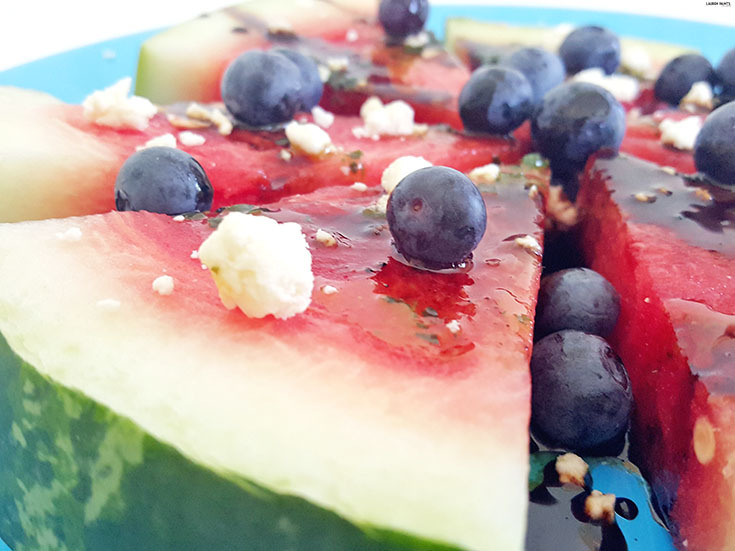 A Fresh from Florida watermelon with a handful of Fresh from Florida blueberries I added to the recipe just for kicks, as well as deliciously fresh feta cheese, mint, parsley, olive oil, sea salt, balsamic vinaigrette, and Florida Cane Sugar! You can get the full recipe here but be warned, it's addicting and you'll absolutely be asked to make it again if you plan to share it with anyone else. 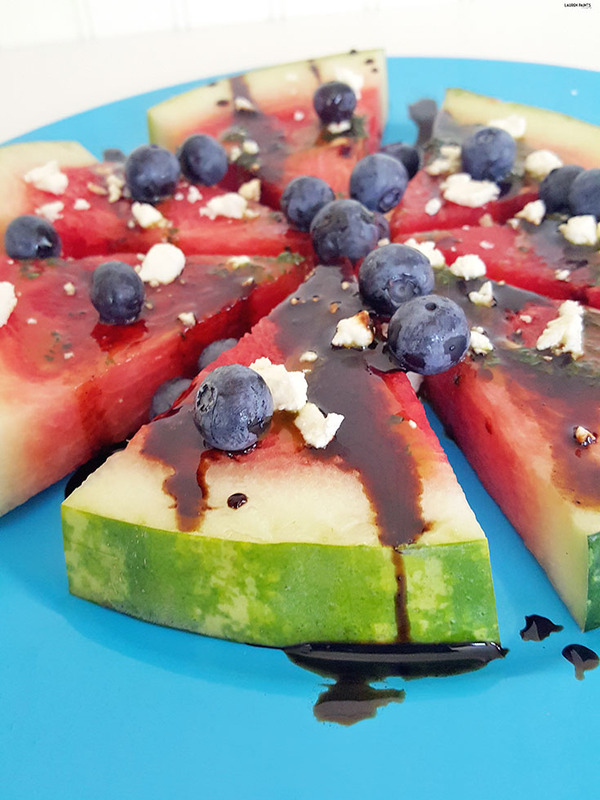 So if you're hosting a barbecue soon or maybe even planning a fun little get-together, this simple "fruit pizza" is the best way to keep your guests and yourself happy and feeling refreshed whenever snack time rolls around! Have you ever made a fruit pizza? Tell me all about your experience but keep in mind, this healthy & simple treat is one you should definitely pin and try later! Plus, ALL of the delicious recipes from the Fresh From Florida website are worth checking out!